Steps to obtain service and support for a longarm quilting machine. Help! I need support or service! We offer world class service and support at your fingertips! Are you stuck in using your AutoPilot or Navigator Software? Is your machine acting up? Tension issues, thread break issues? Is your machine truly sick and need of care? 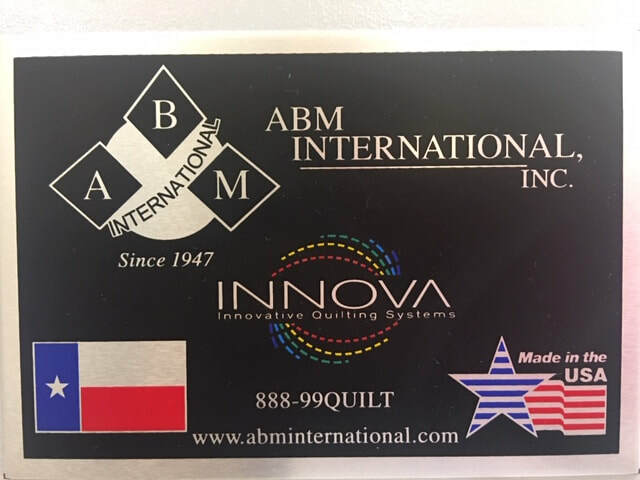 At AQ "We make quilting EASY!" We call this our ROADMAP TO SERVICE. We have a clear cut way for your to get help or service ASAP! Please read below and reach out to us. We offer help not two days down the road, not one week down the road and certainly not two months down the road! At Accomplish Quilting, you can receive support that very day or at the latest, the next day. 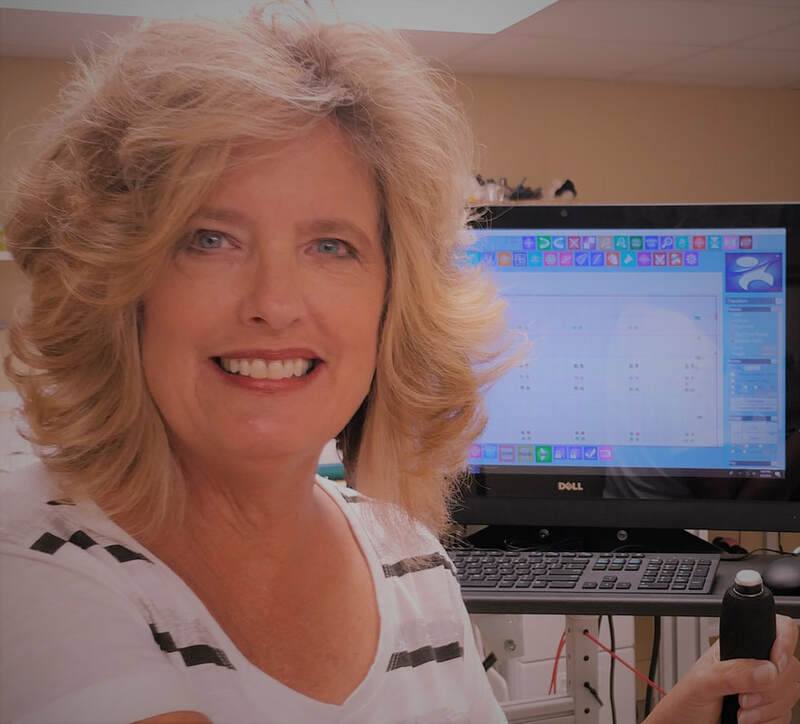 We have a full staff of certified and experienced team members to help you in every phase of service and support! Call first! Don’t make it worse!” is our slogan. ​When you need help, we don’t want you to be frustrated and unhappy. Simply reach out to us and we will make sure that you are up and quilting in no time! AQ’s goal is to make your quilting EASY! When you need assistance, support or service, we have a myriad of ways in which that happens quickly. STEP 1) Call your local store or the store in the closest proximity to you. Below is what will happen once you call one of our stores. 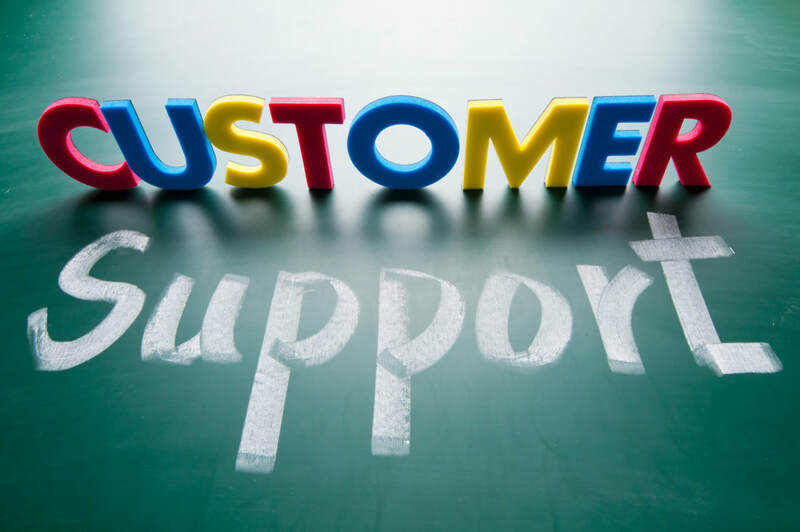 Once the store closest to you is contacted, they will make every effort to assist you. If they are not able to solve your problems, they will reach out to our operations manager in our home store. We don't make you go chase around our company to get the proper service that you need. 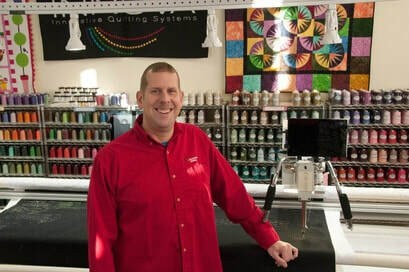 WE do the work to make sure you are put in touch with the right person to address your quilting issues. Once the proper person to work with you is located, he/she will contact you right away. If for some reason the needed person is unavailable, you will receive another phone call from the operations manager to let you know when that person will be calling you or set you up with an appointment for a specific time and date. Almost always that very same day! Any time someone needs help during business hours, there are multiple ways in which to receive help that very day. Our On-the-Road-Service/Installation Techs are scheduled regularly to do service while on the road. Many times, they are installing our new machines and on the return trip, they will sometimes be scheduled to do a service call as well. 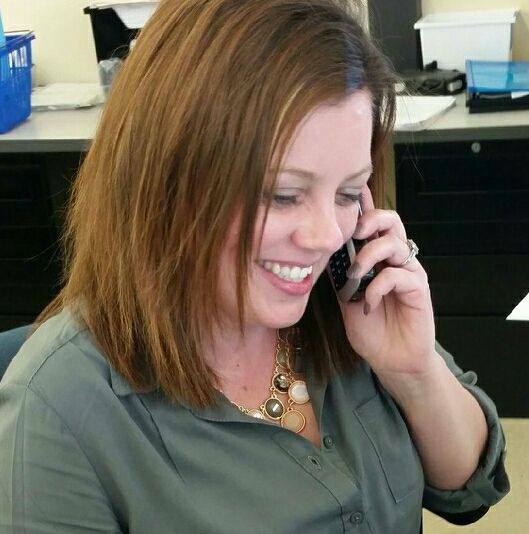 During the day, our Operations Manager can contact them to request their support if needed. 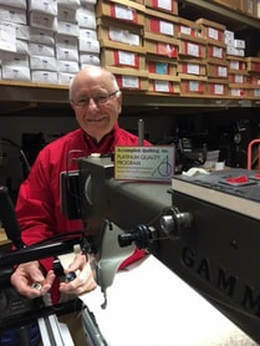 ​In-House Service: In all our stores, when arranged with our Operations Manager, you will be able to bring in your sewing head and receive service in one of our three stores. We will arrange for a qualified service technician to meet you at the store that is closest to you. machines arrive safe and unharmed when not secured properly. 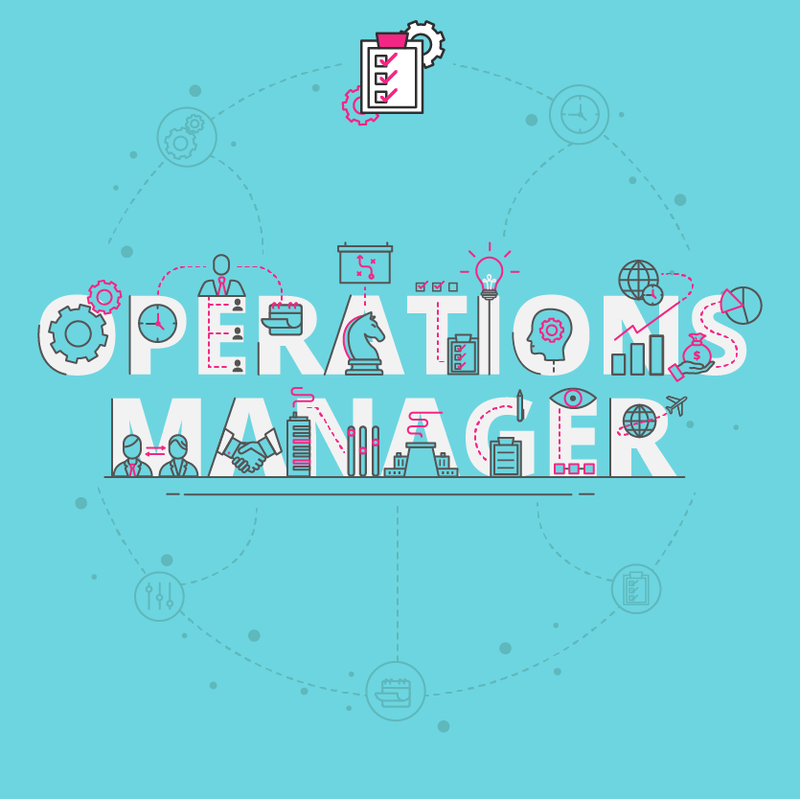 We have an Online and/or on the phone, Help Desk Manager that when arranged through our Operations Manager, you can work with her to get your problems or need of assistance solved. Many times, AutoPilot and Navigator owners need software help. This method is the perfect way in which to get the boost needed to keep you going. We can remote into your AutoPilot and Navigator to do on the phone and on the screen assistance. 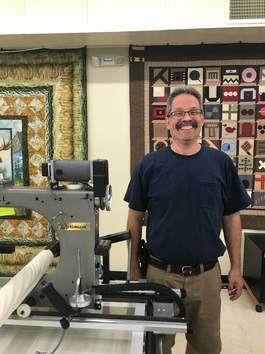 Jeff Benedict, owner of Accomplish Quilting, will pick up the phone from the time he gets on his feet in the morning until the late evening. Even on Saturdays and Sundays! If he doesn’t answer right away, he returns calls as quickly as he can. 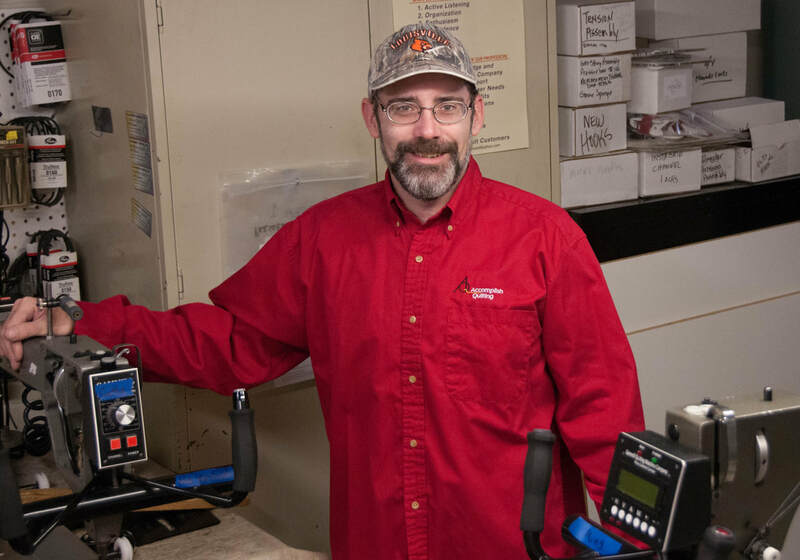 Jeff has over 18 years of longarm machine repair experience. 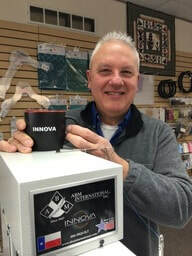 He has worked on every major brand, make and model of quilting machine on the market. He, along with his father Clarence train the AQ Technicians. Remember, though, you will want to call Accomplish Quilting first! We are your first line of defense when needing assistance. We are YOUR dealer and your satisfaction is our business. We want to service your needs in any way that we can.